When most people ask this question they want a solid number in to how much weight will be lost on the HCG diet, while this is an amazing diet – there is NO way to give one answer that will fit every one. So I am going to cover a few groups of people and hope you are able to get an average for you on how much weight can be lost. 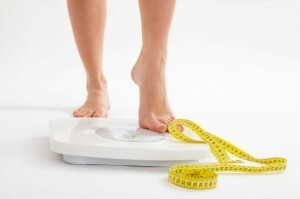 How much weight will i lose on the HCG diet? The average person will lose from 1 to 2 pounds a day; as long as you follow the diet protocol you should see great weight loss! Here are things to keep in mind. To get the best results from the diet you MUST follow the protocol! I see too many people trying to skip phase 1 or eat foods that are not allowed on the diet. Keep in mind you are here to lose weight and MOST of all to live a healthy life. You must be ready for a change and want to look and feel better. After you are done with the protocol you will find yourself wanting better foods and able to eat less and feel better. Some days you may lose half a pound and other days you may lose 2 pounds, even if you only lose 4 pounds in a week, you have still lost 4 pounds and by the end of the diet you would of lost 16 pounds. As you see, the number really adds up and 16 pounds is something to be happy about. While it is VERY RARE that someone will lose such little weight on the HCG diet, I want you to understand that weight loss is weight loss and you are doing well! I can’t tell you how many people I have seen stopping a diet due to losing just a little weight, I try to get people to understand that if you stick with it you will lose weight. 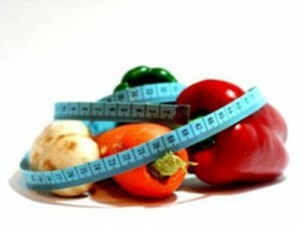 Most of all, if you do not stick to the HCG diet you will never lose the weight you want. You must TRACK your weight loss, this will show you how good you are doing and keeping track of the food you are eating will allow you to see what is helping you lose more weight. We have made a weight tracking log for you, you are able to down load a PDF to print out OR a Word Doc so you can save it to your computer and fill in the blanks. Whatever works better for you. So, how much weight will you lose on the HCG diet? This is all up to you and how hard you work the diet. Do not forget, losing weight is about making changes in your life and wanting a better life. If you have any questions, please ask on our forums or in the comments below! « Stopping the HCG diet for a little bit.